"We’ve done some excellent work on lightweight suits. 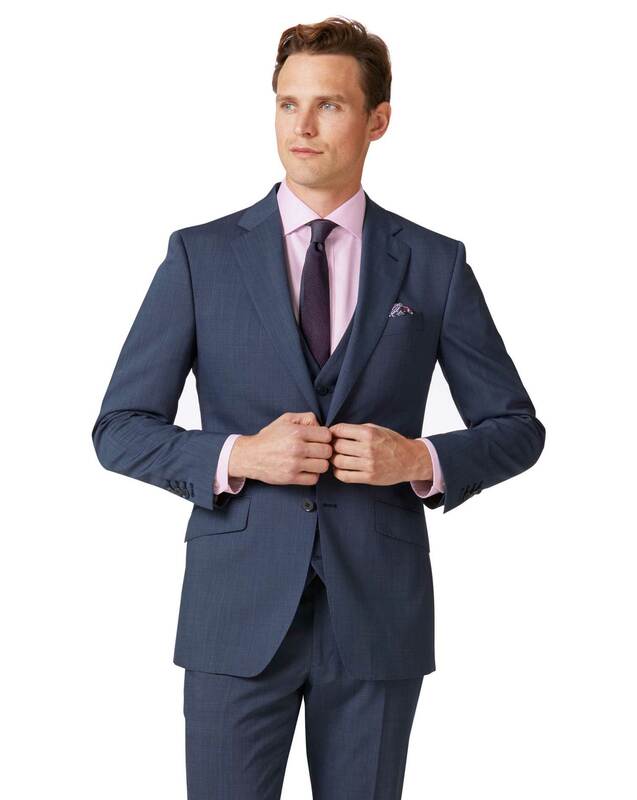 Made from breathable Merino wool woven to a lightweight fabric with a textural effect, half-lined and with our usual working cuffs, our new Step Weave Suit is ideal for a fresh look." "Made from 100% pure merino wool with a subtle texture, half-lined and lightweight, perfect to wear in warmer months." A suit this time. Have bought suits and non-iron shirts many times.